1st BLUR CREAM sets the perfect pre-canvas for a PORELESS SMOOTH "EGG SKIN"
Attain perfect skin surface, ZERO PORE. Micro blur technology soft focuses your skin, optically erases pores for impeccable skin texture.Reduces pore visibility instantly and with continued use. Non-greasy bouncy smooth texture fuses with skin for blendable light sensation. 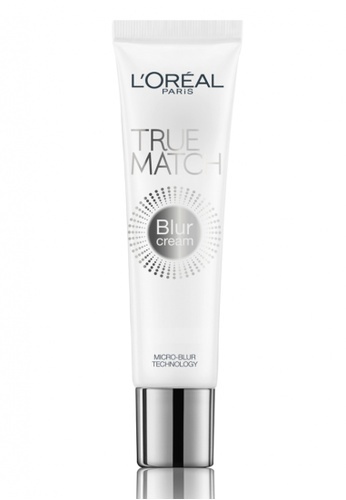 Can't find L'Oreal Make Up Designer True Match Blur Cream 30ml in your size?